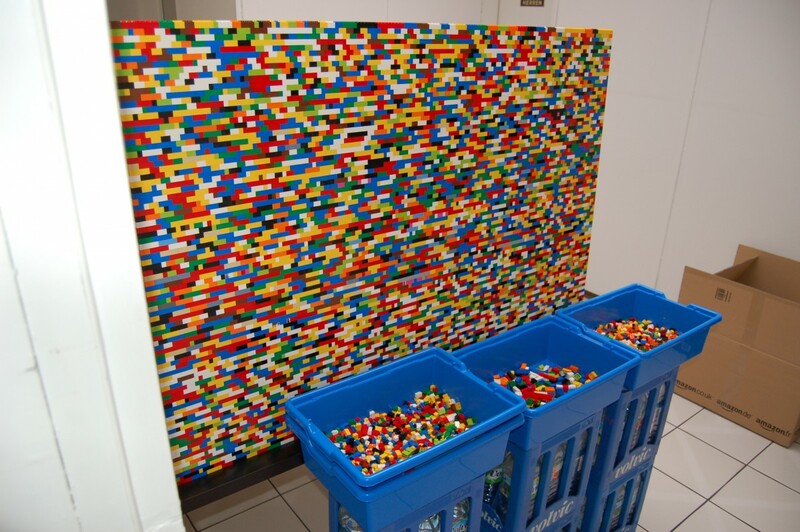 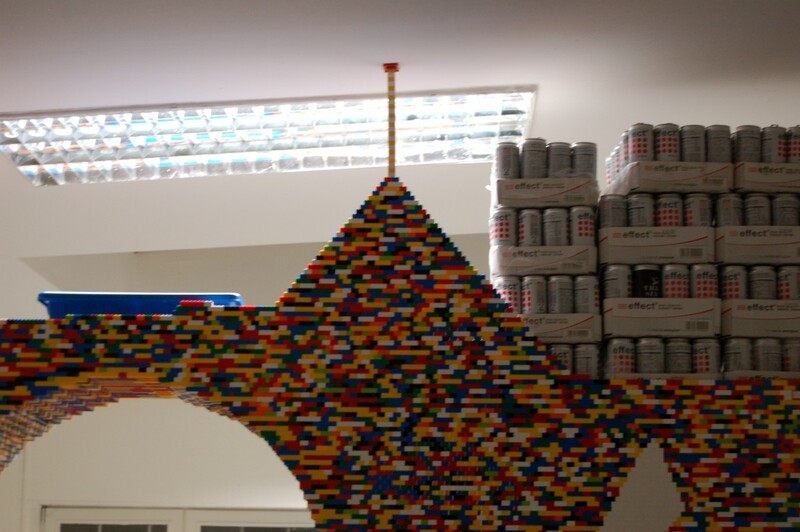 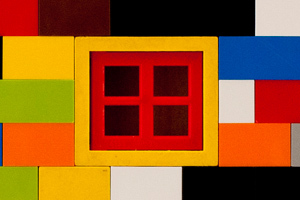 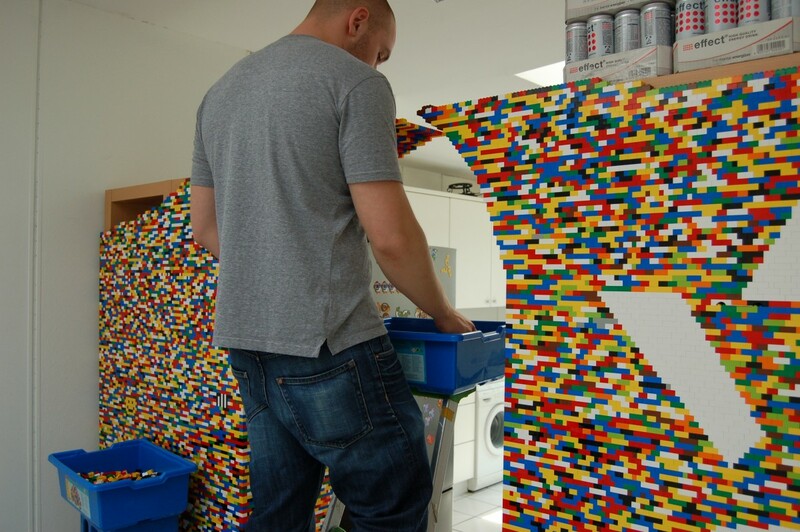 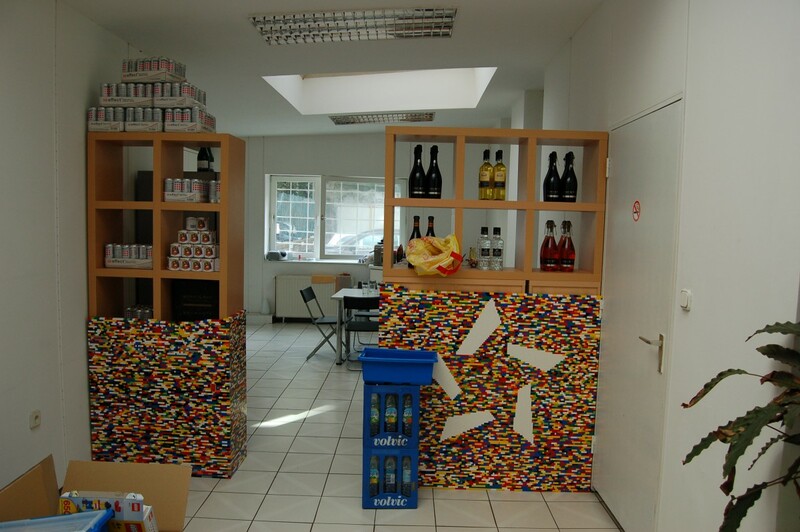 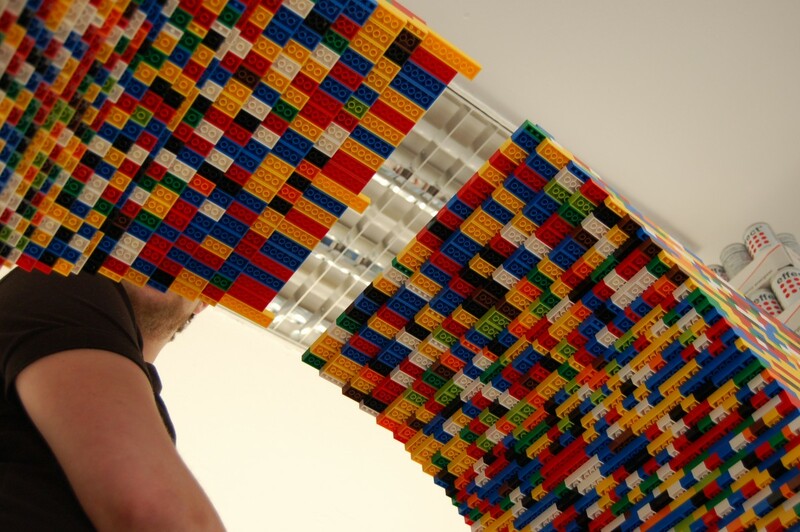 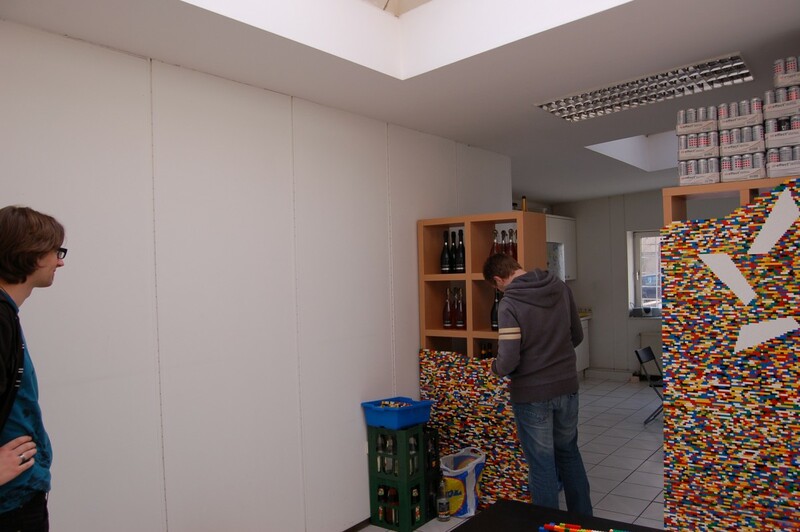 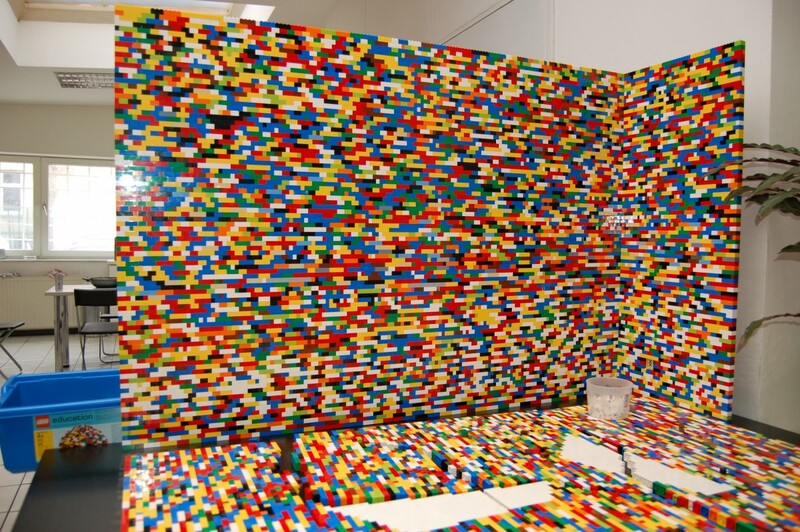 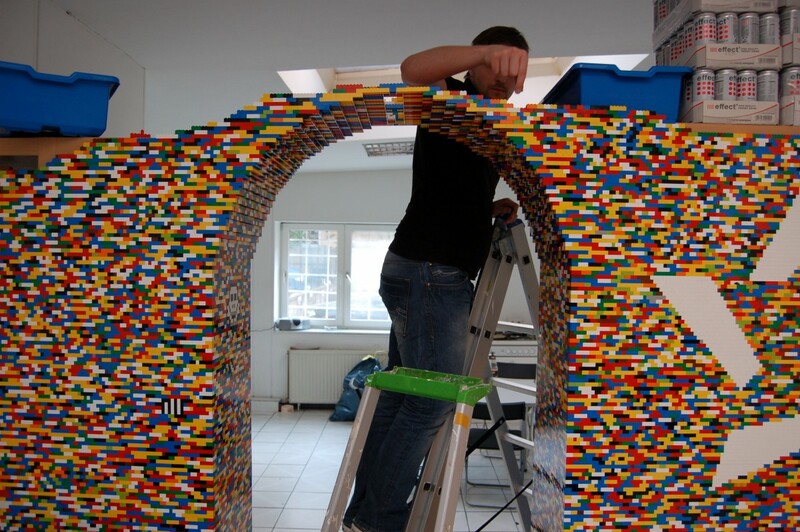 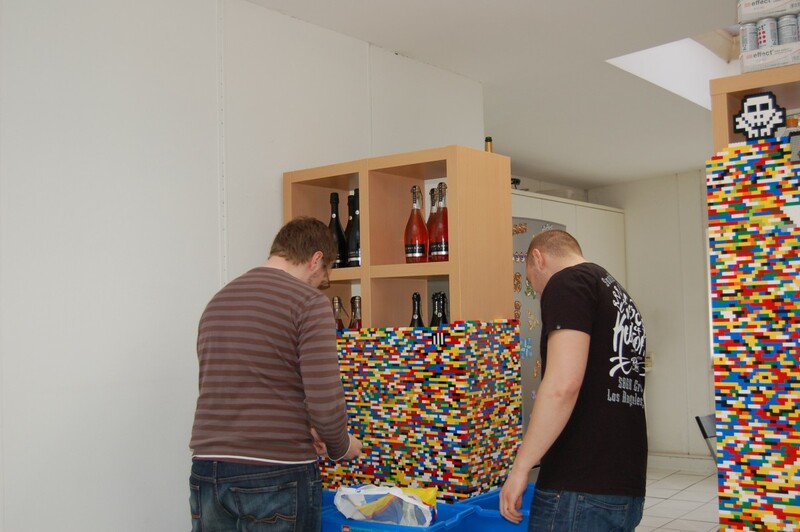 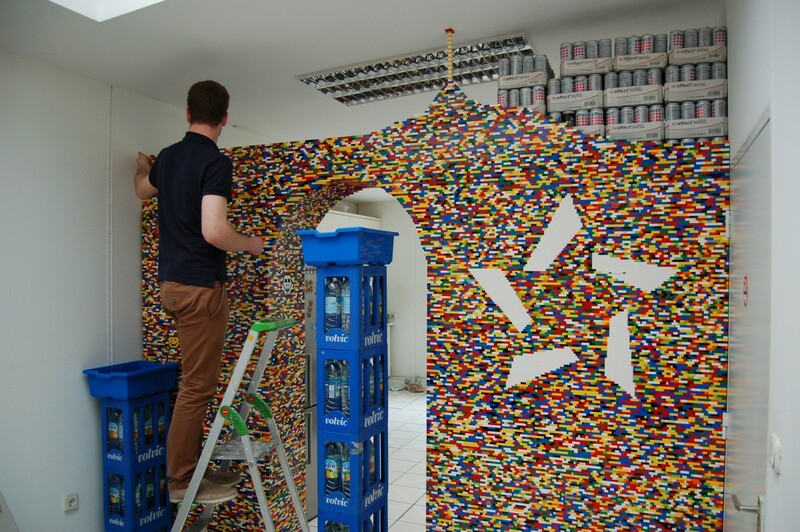 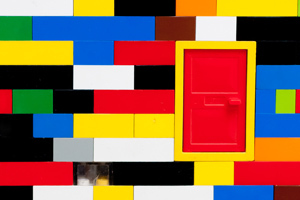 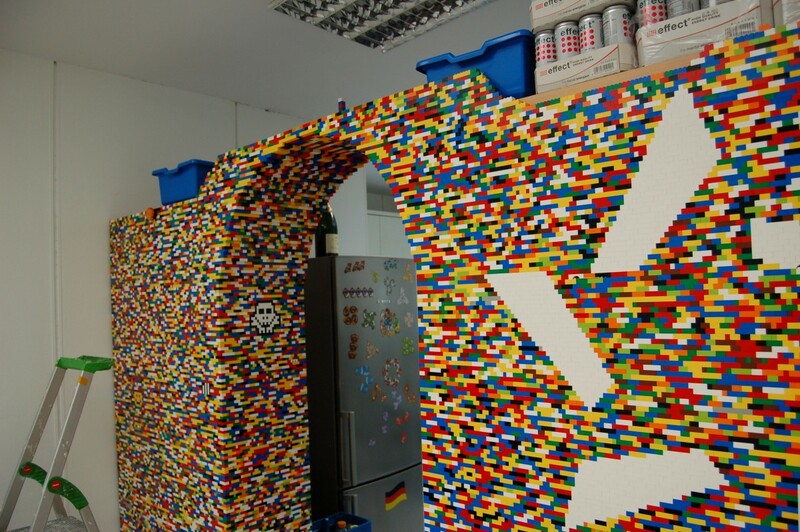 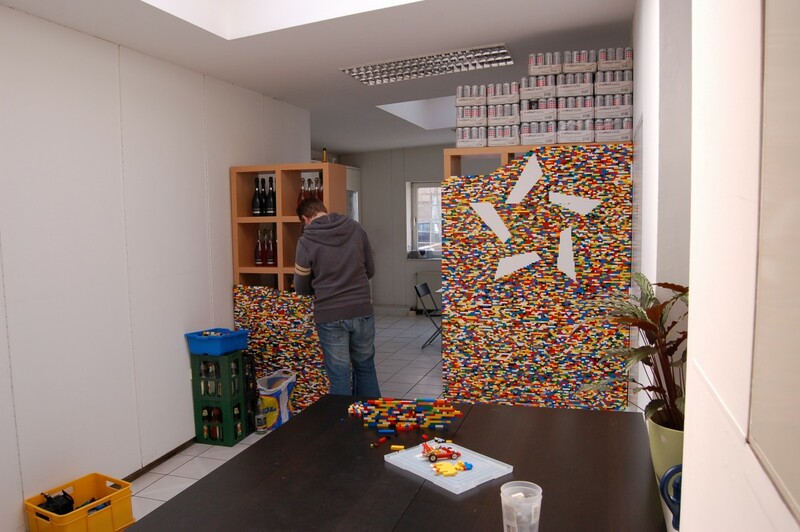 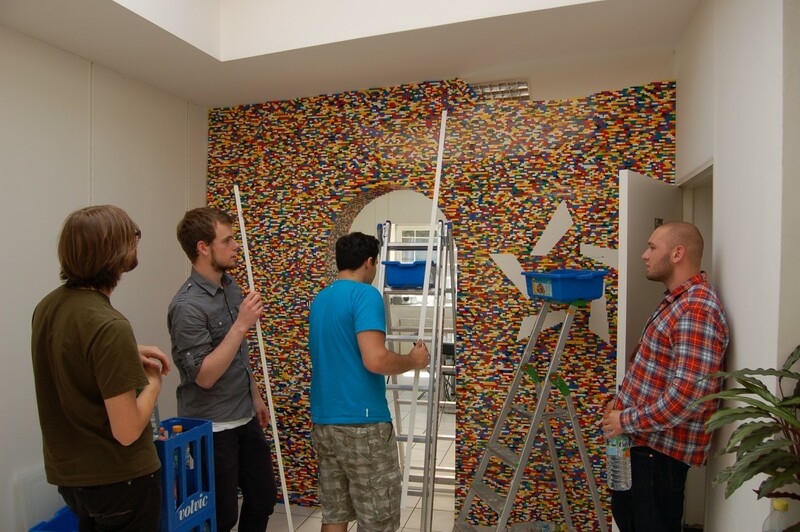 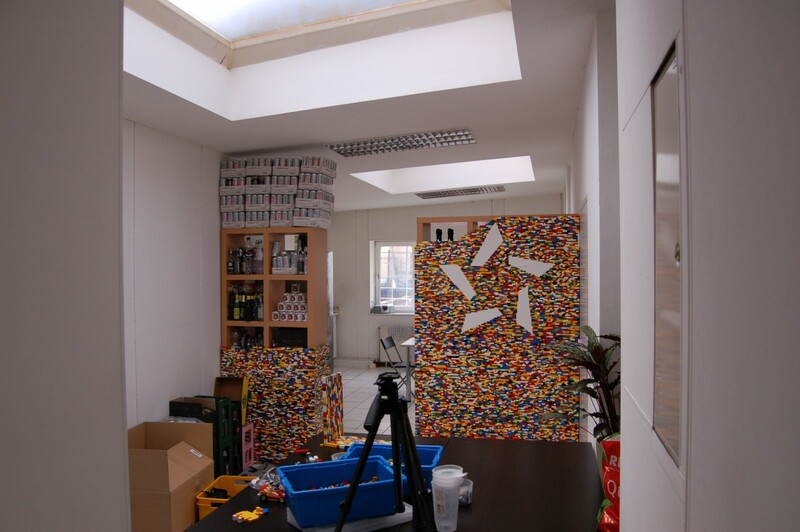 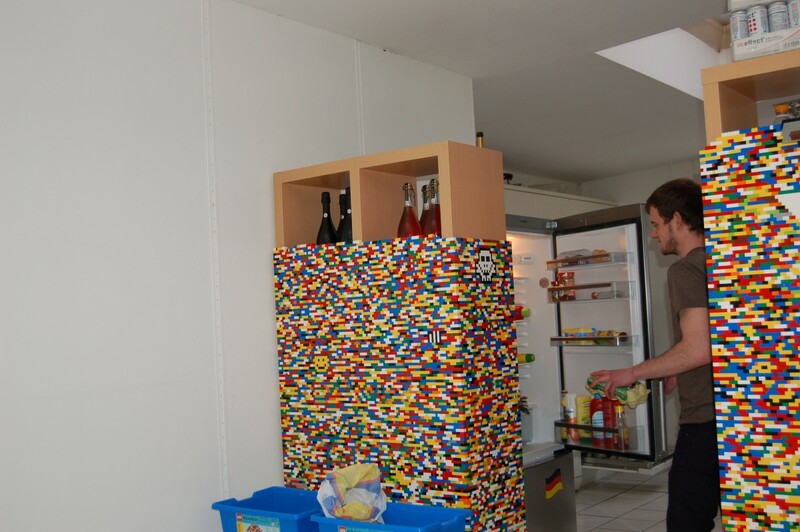 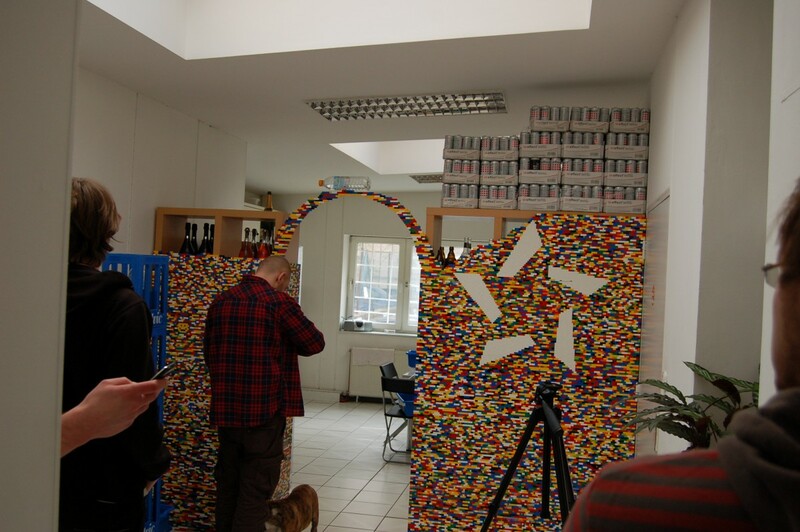 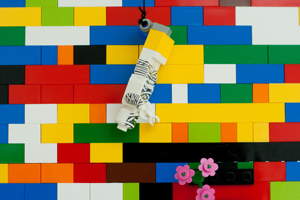 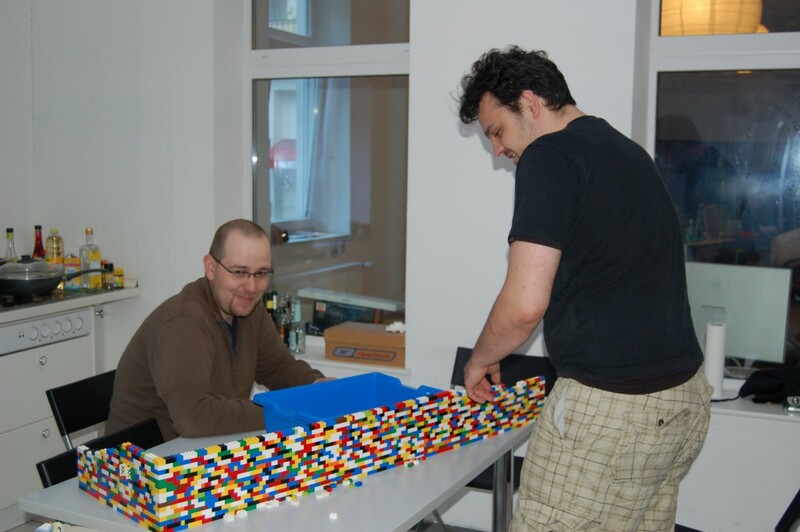 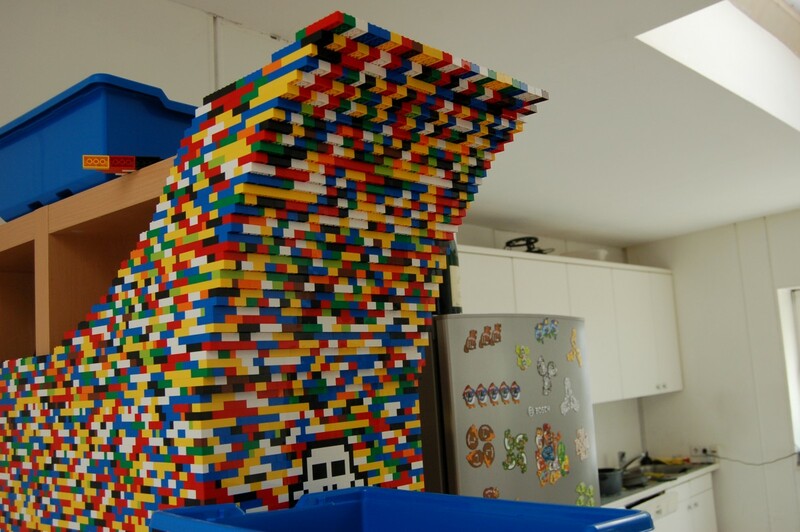 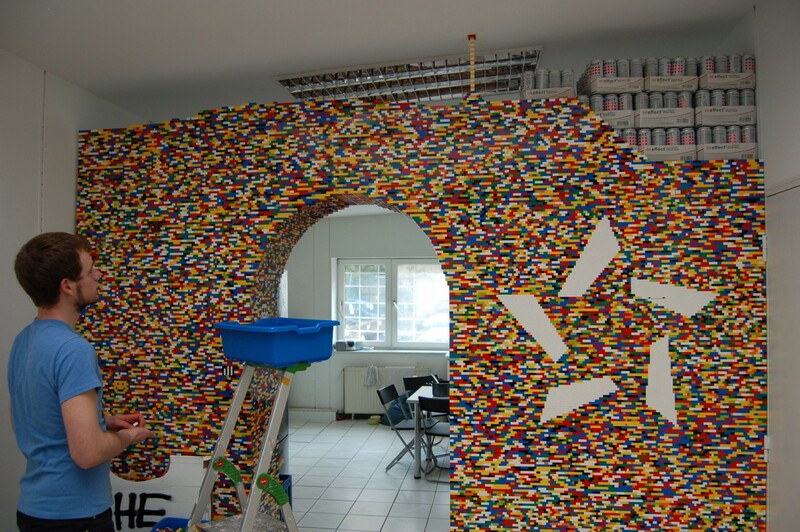 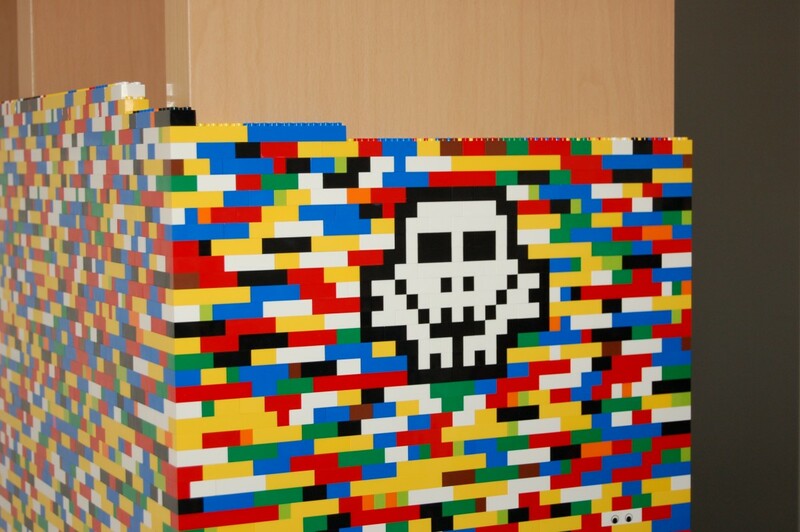 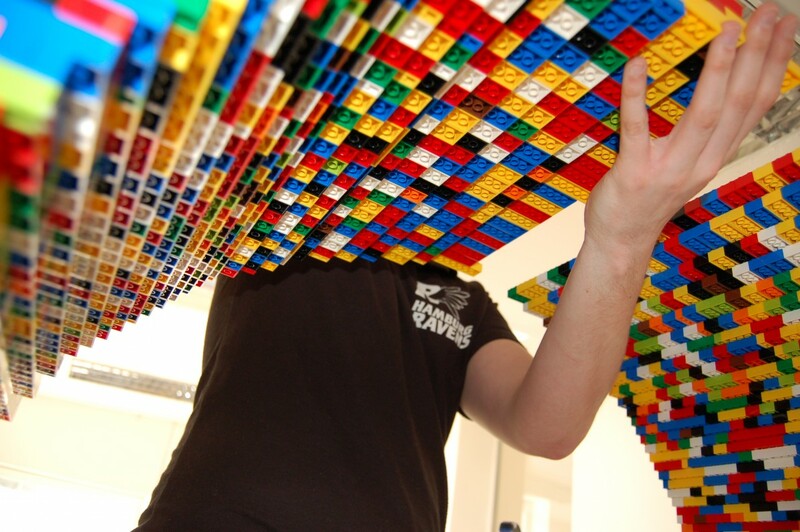 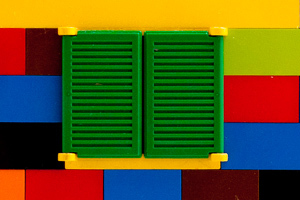 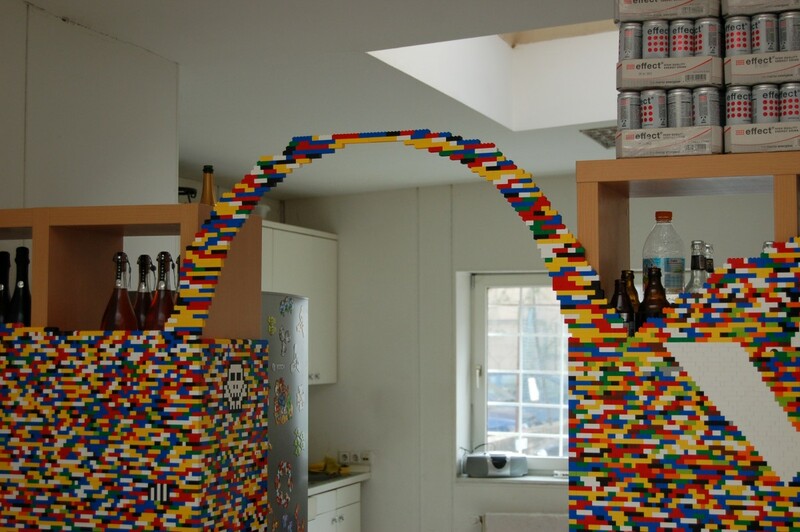 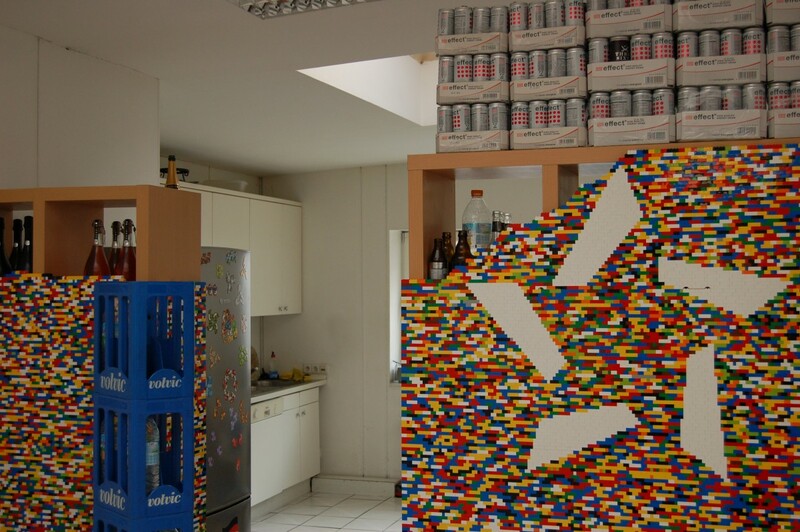 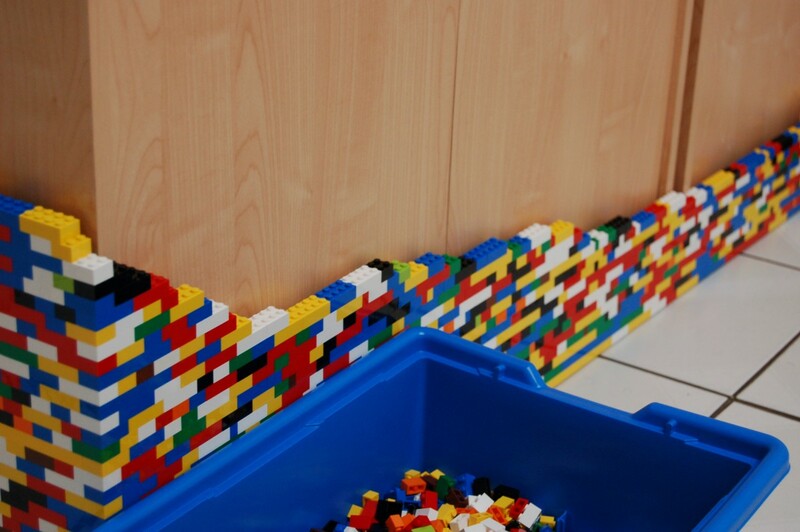 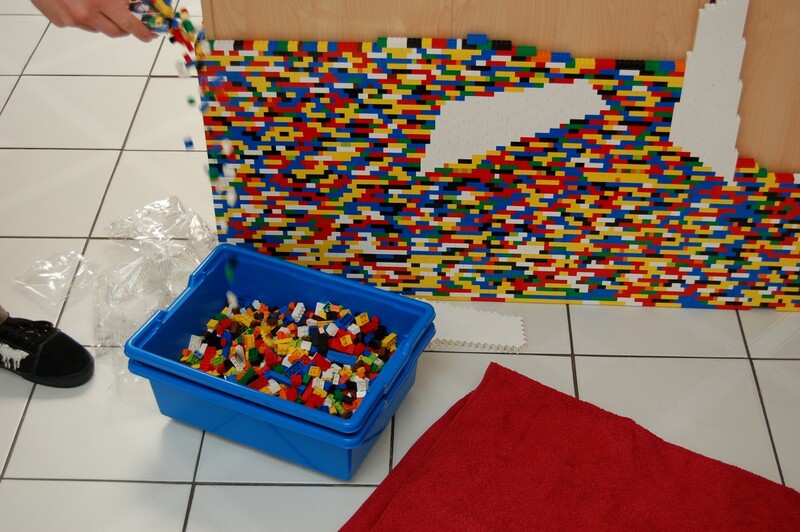 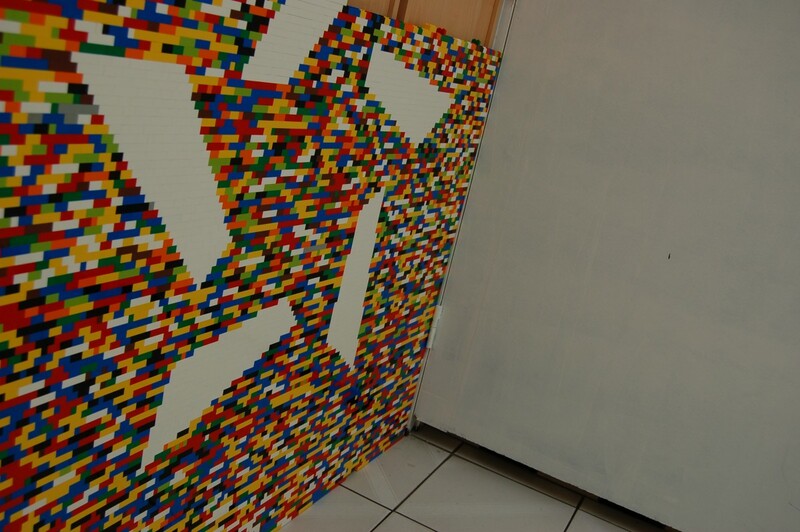 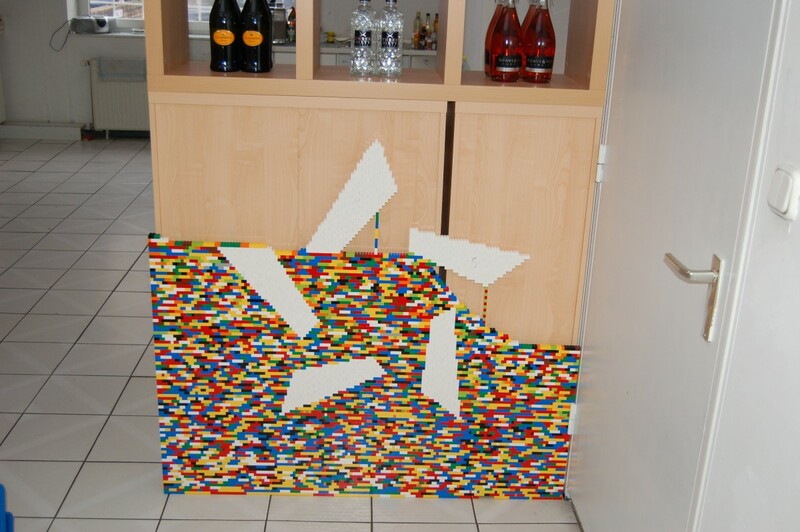 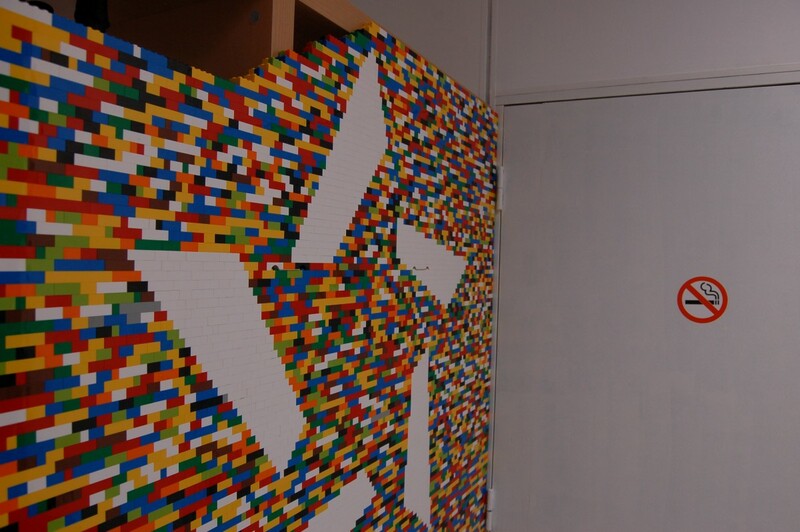 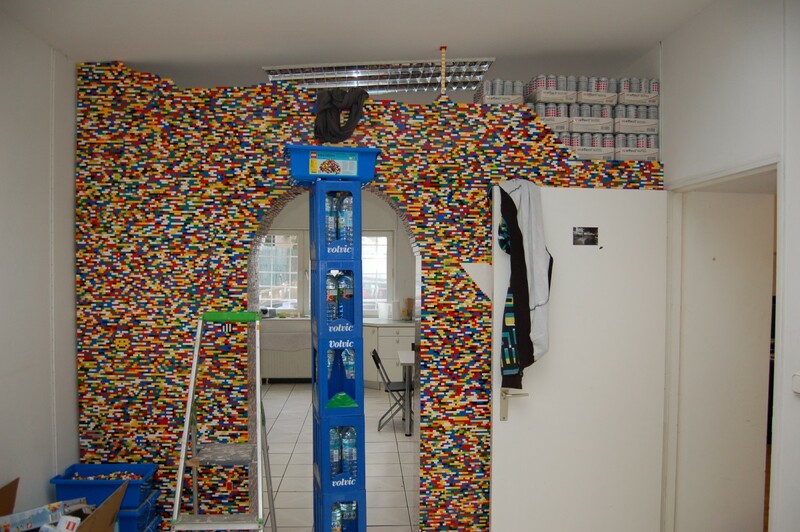 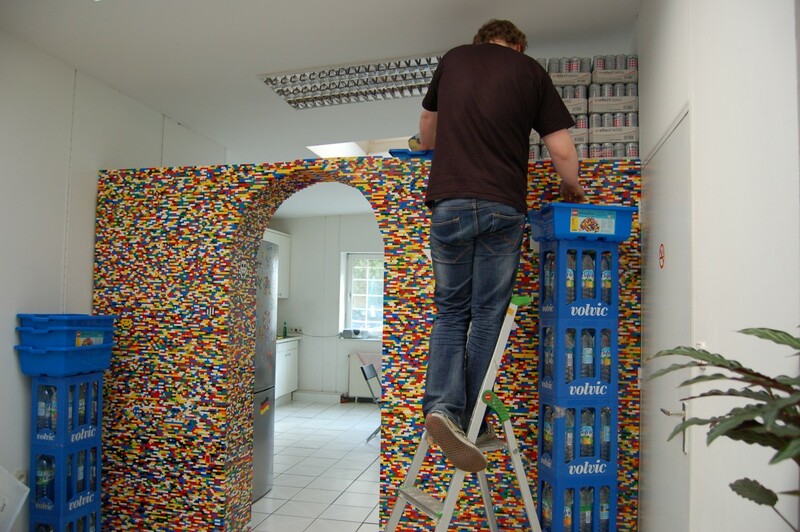 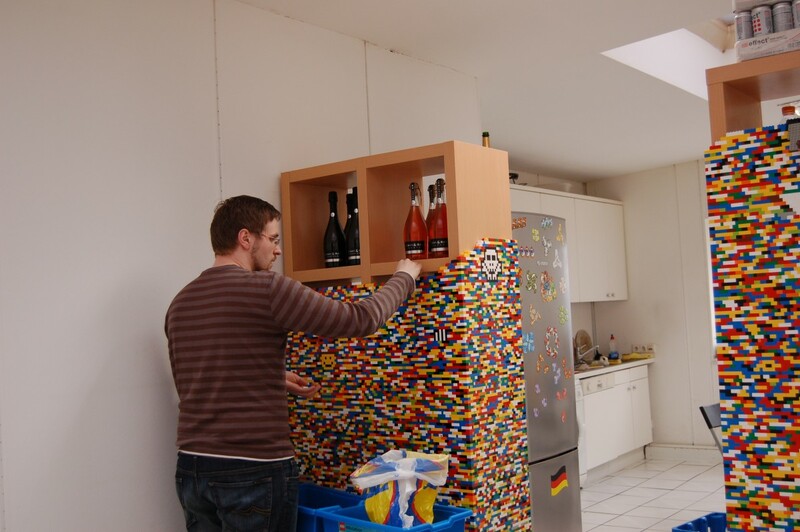 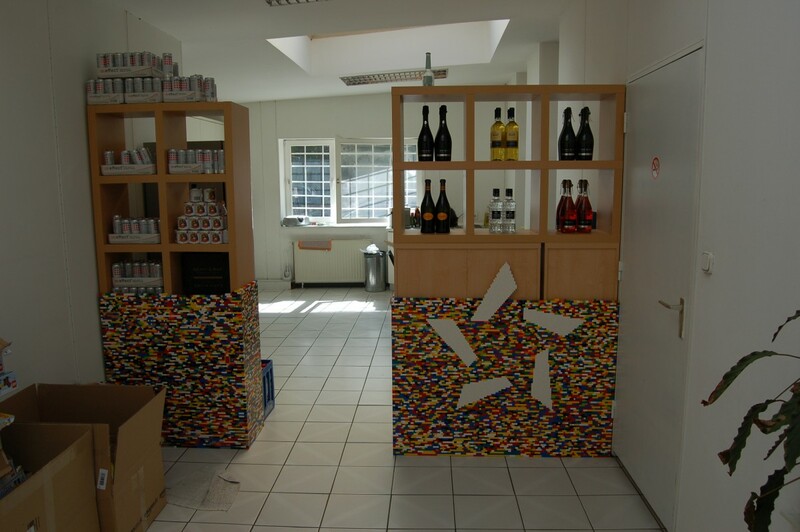 What kind of lunatic would build an office divider from 55.000 LEGO bricks? 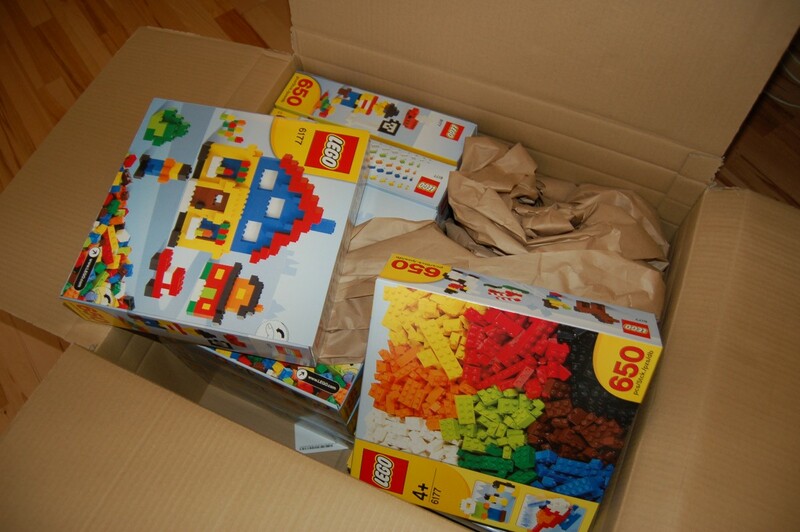 You guessed it: We did. 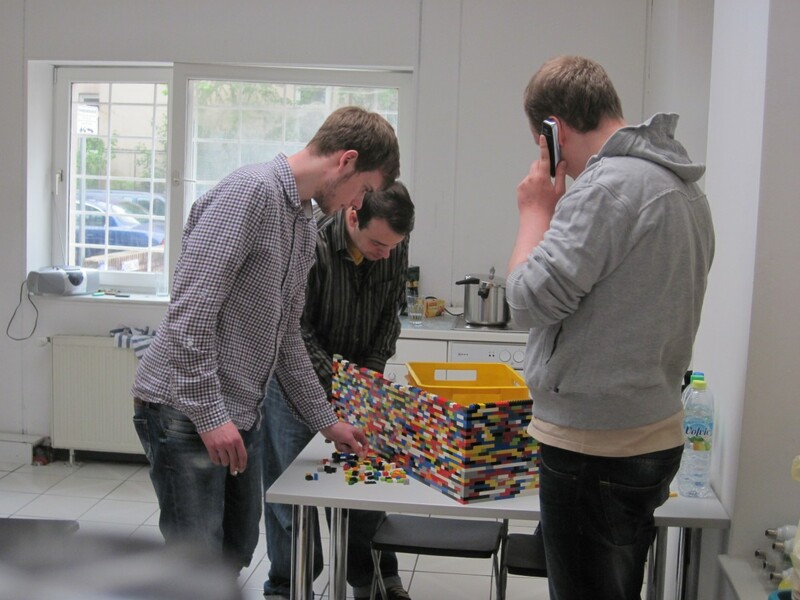 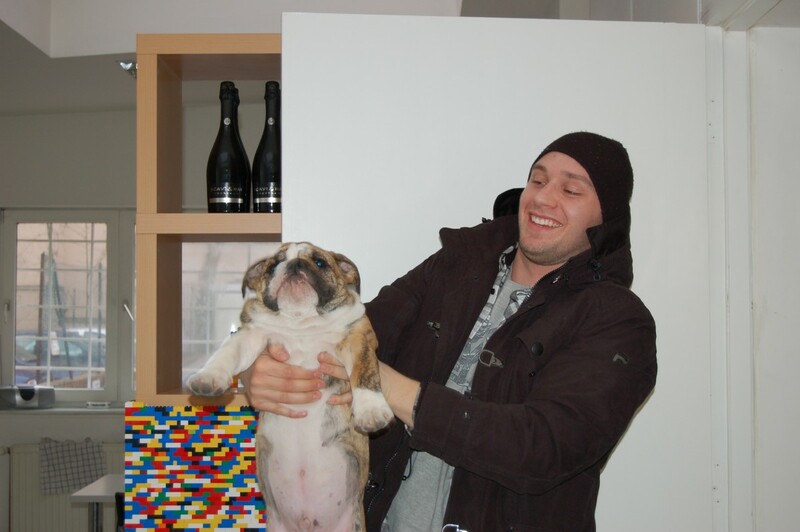 A lot of blood, sweat and tears were shed every single day for 12 months, we went through highs and lows, from the top of the world to the depths of despair – but in the end, we succeeded. 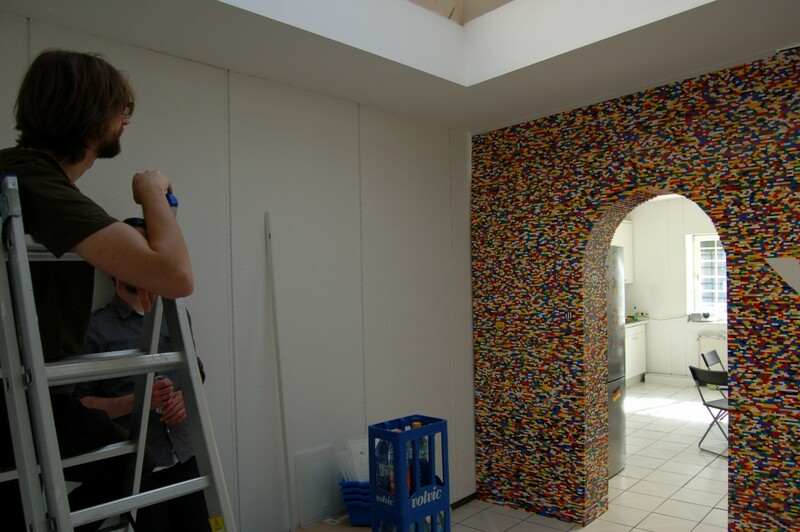 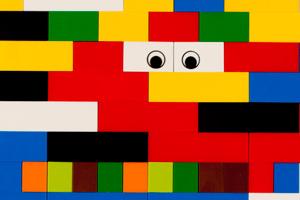 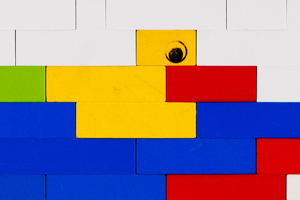 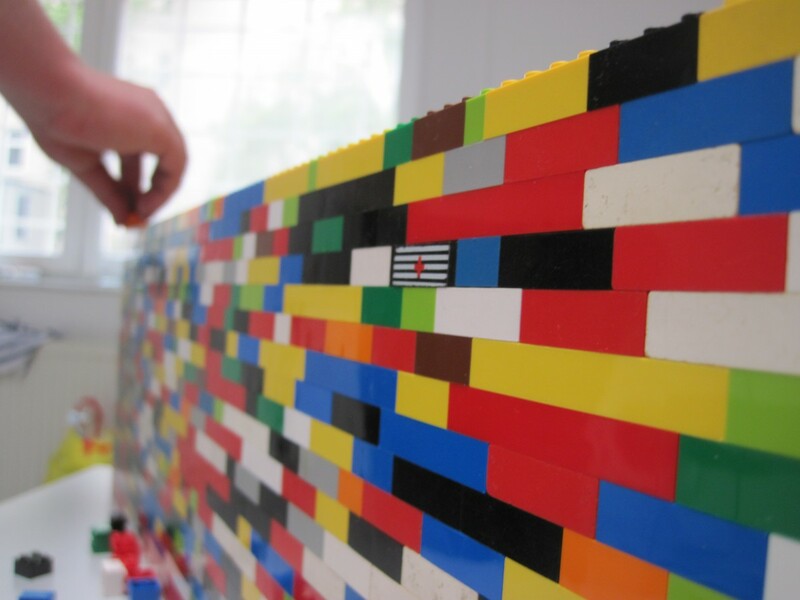 For all the details on this legendary project, we suggest you simply google it (yes, that’s how famous our LEGO wall is!). 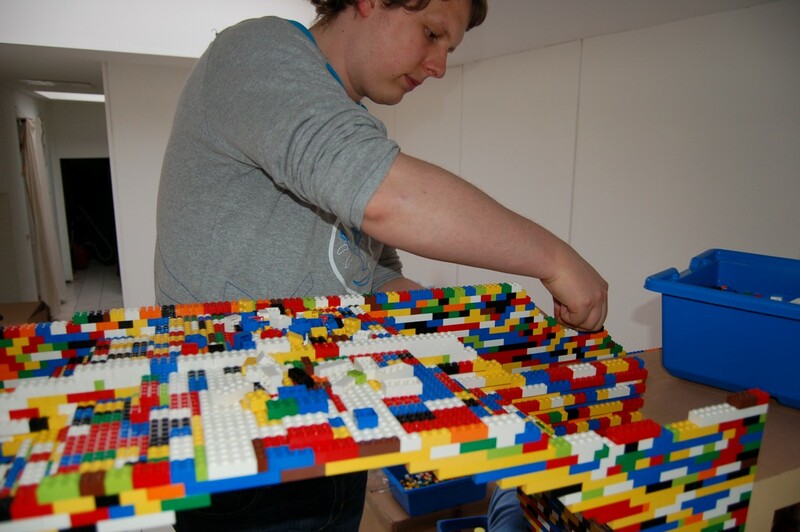 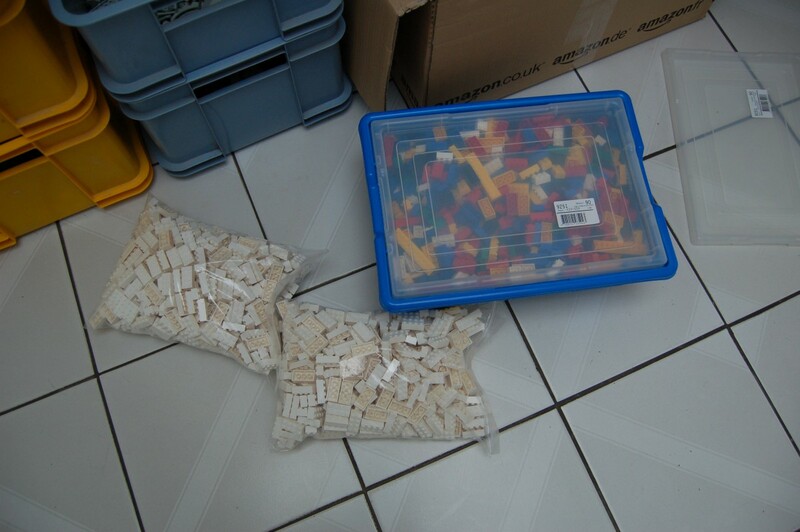 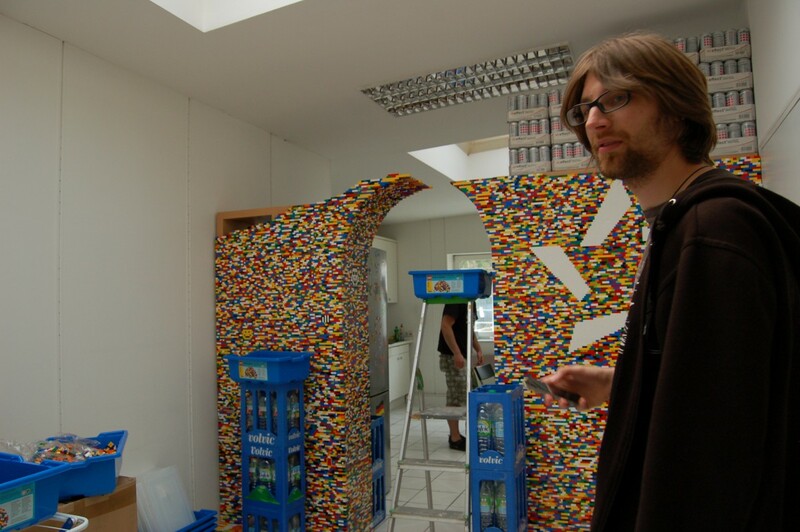 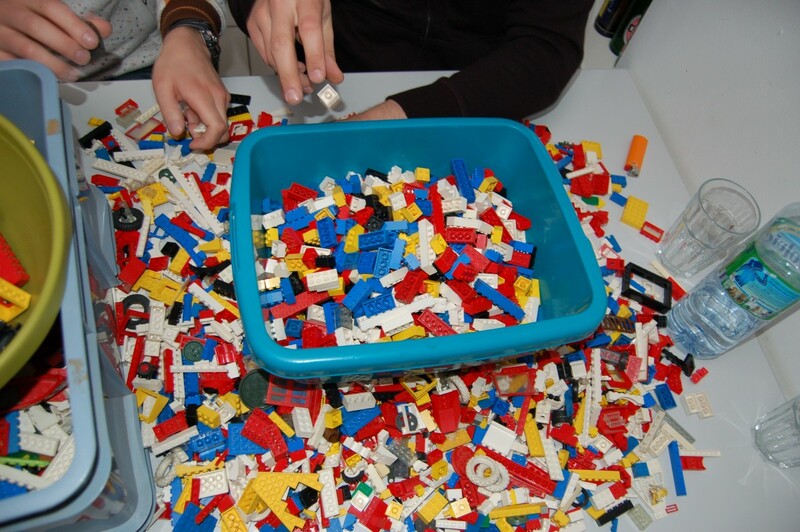 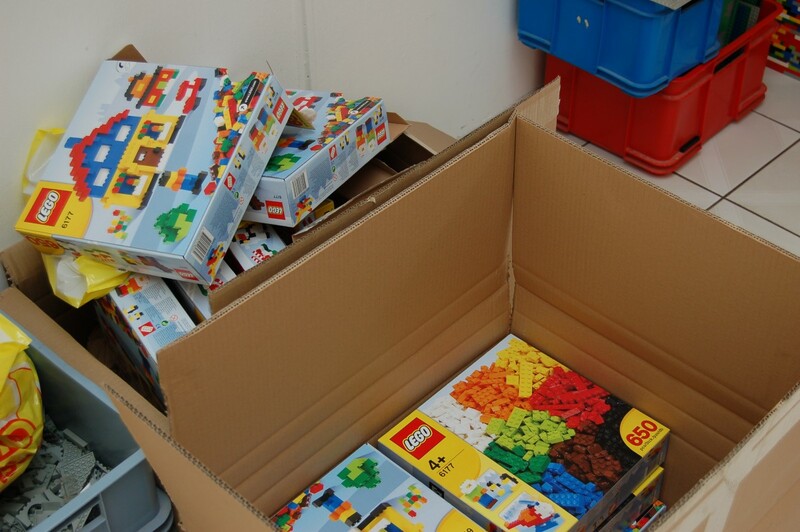 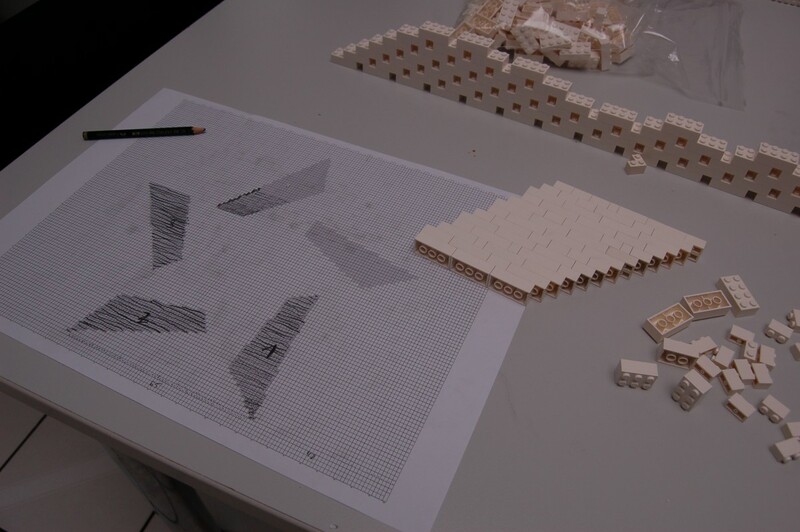 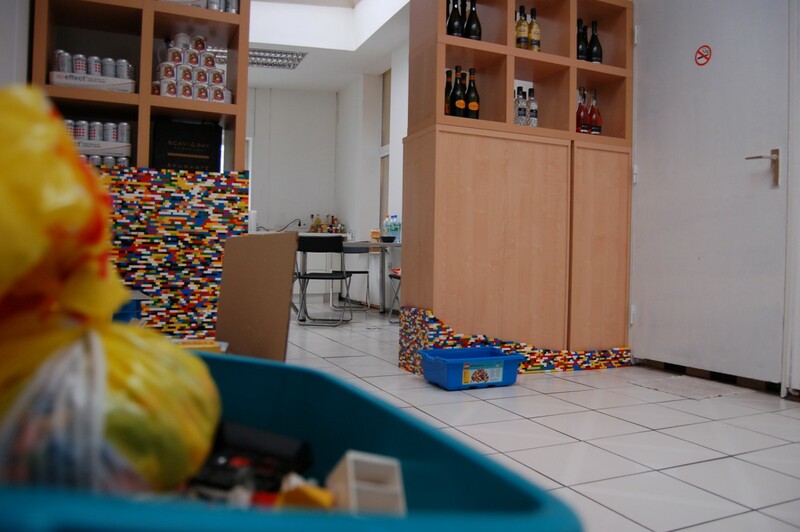 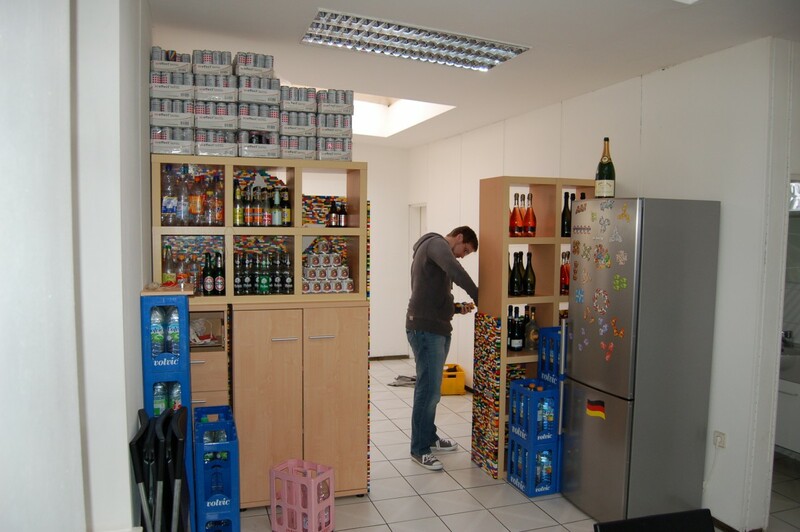 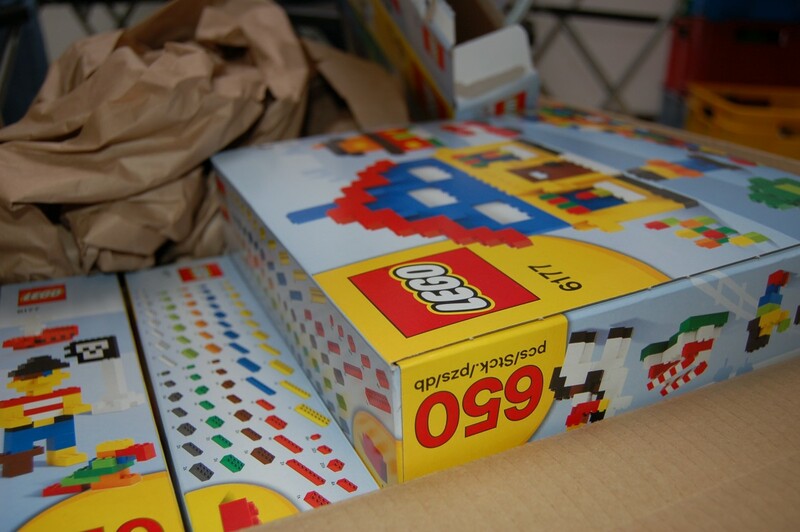 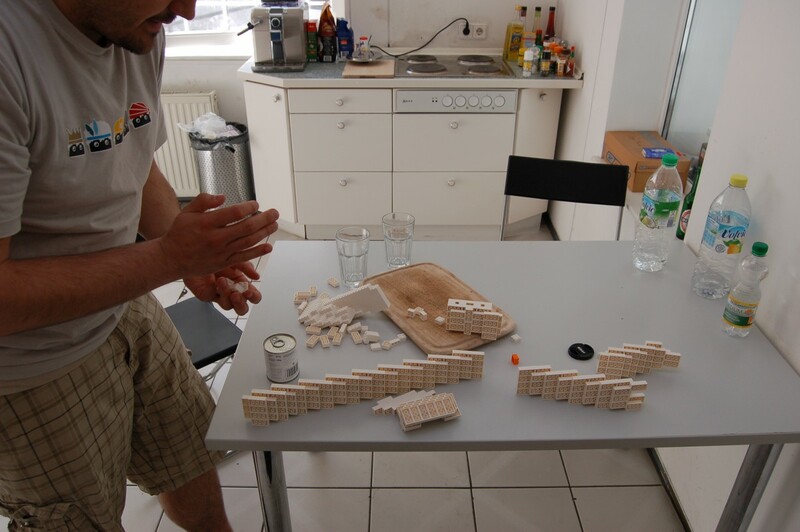 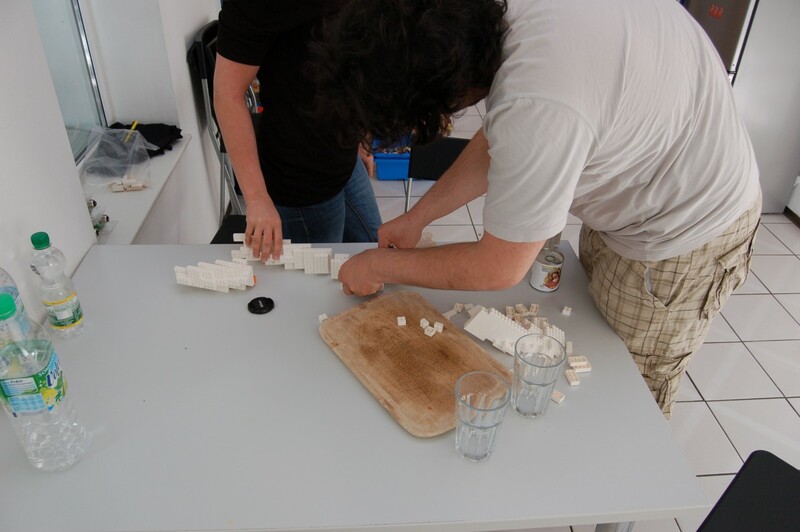 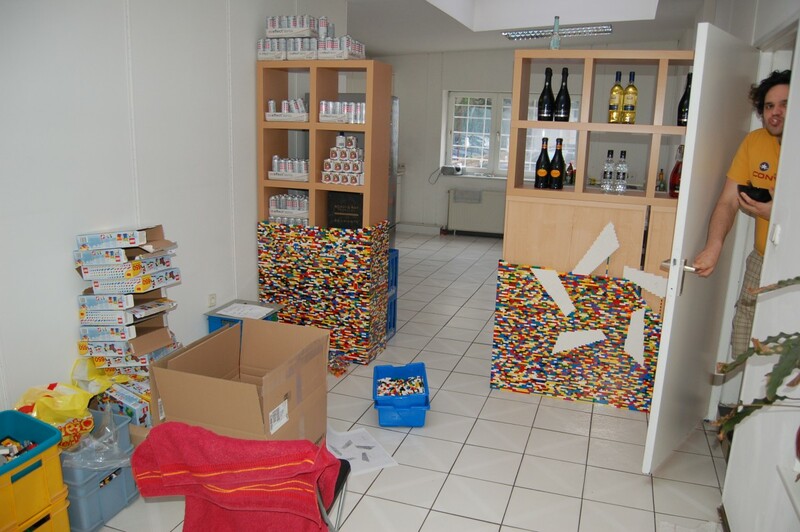 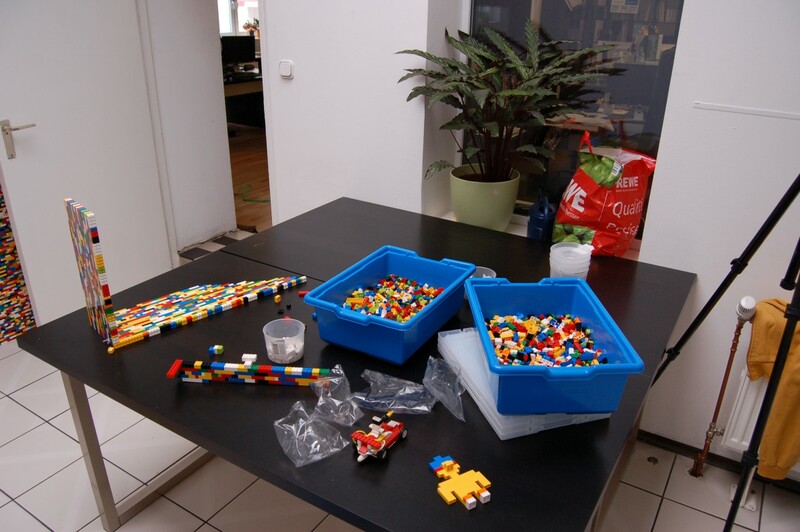 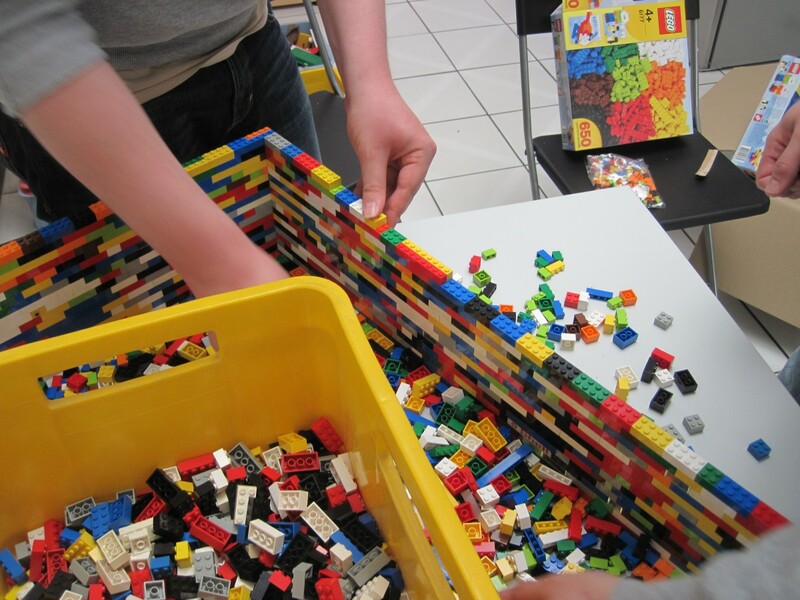 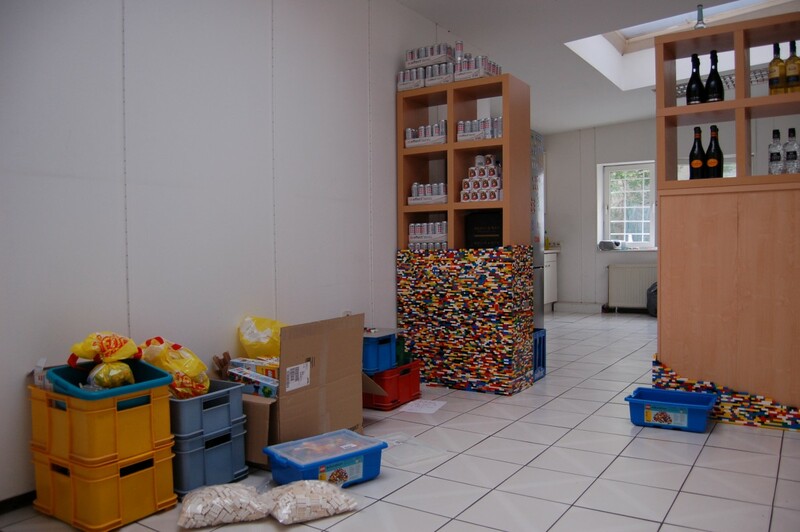 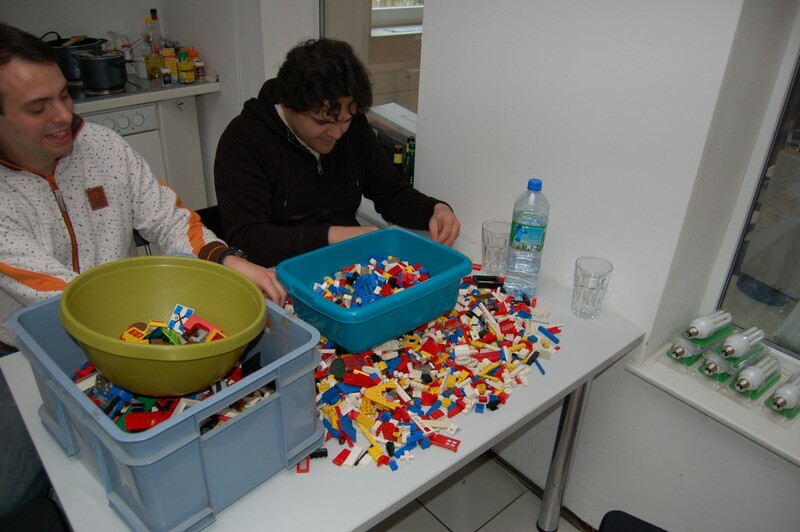 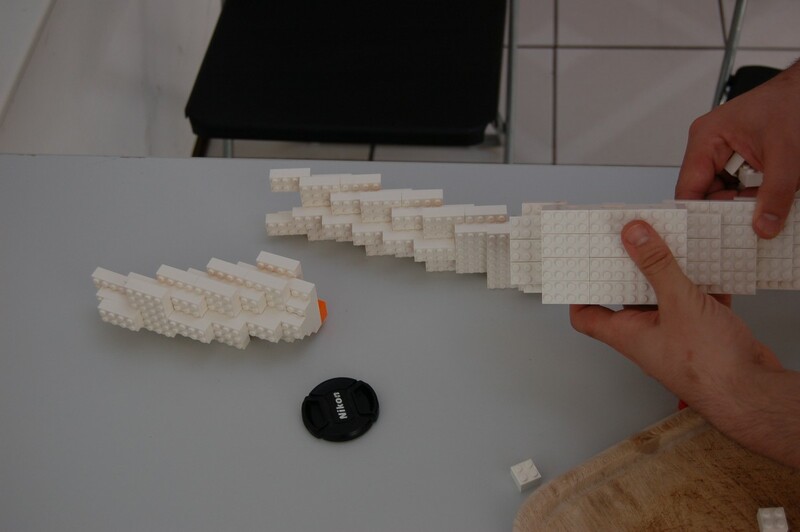 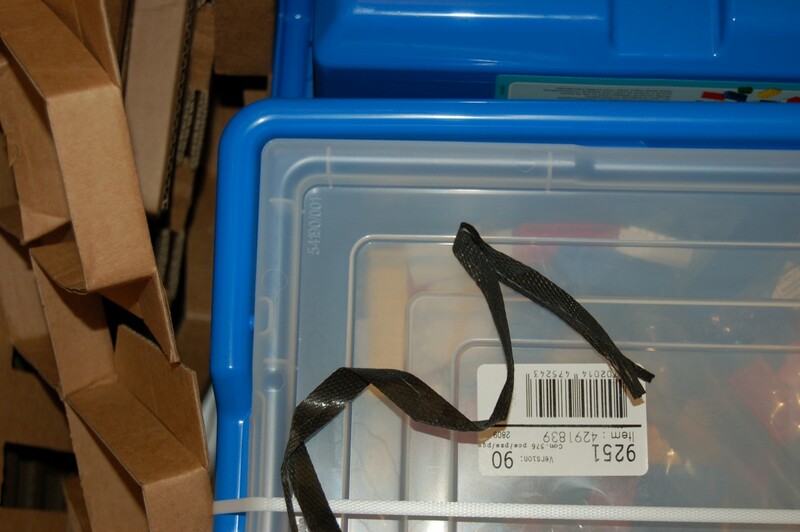 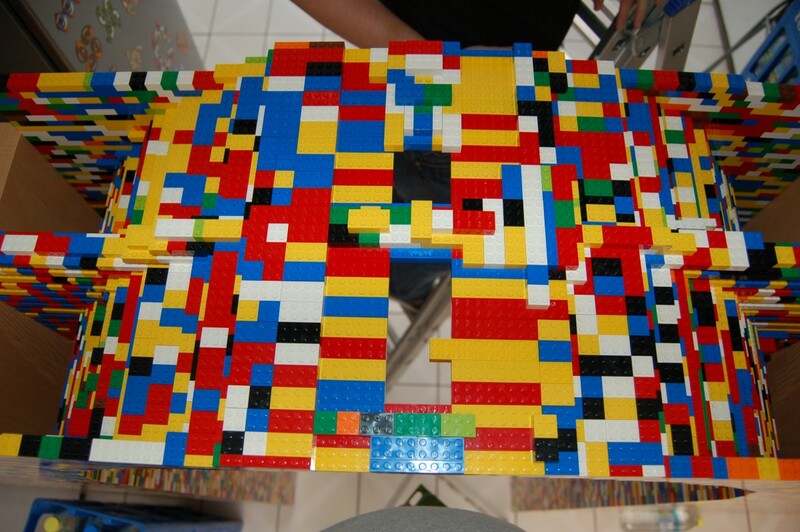 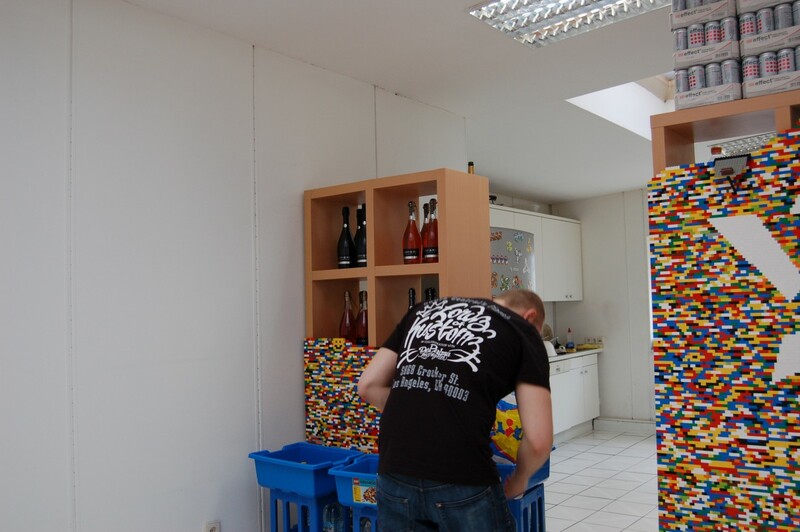 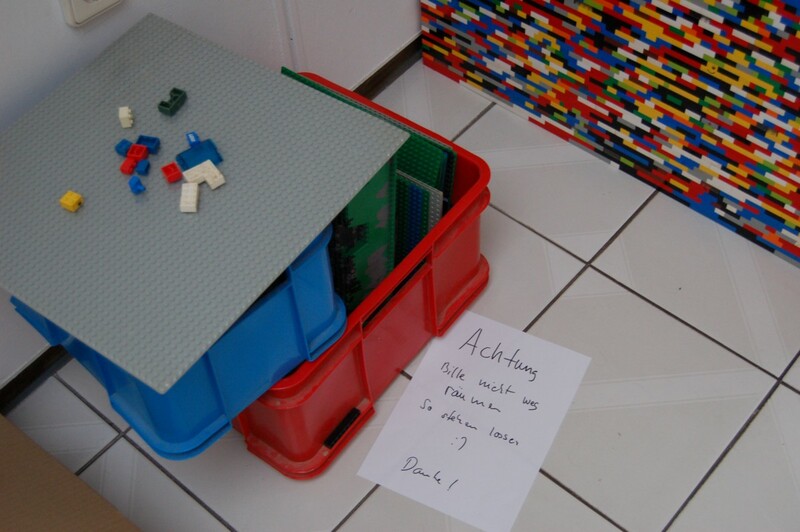 In case you’re not much of a researcher, here are some very impressive facts: We used all the LEGO bricks from Gilg’s childhood and bought 80 new packs on top of that, resulting in costs of around 2.500 EUR. 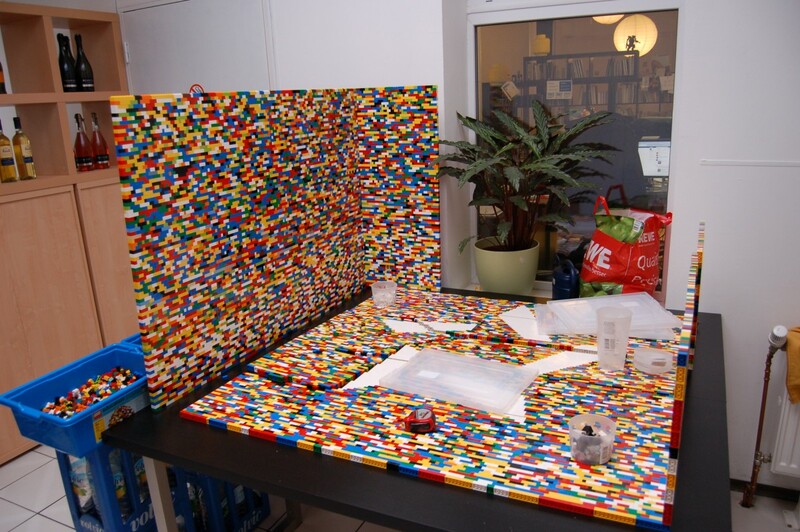 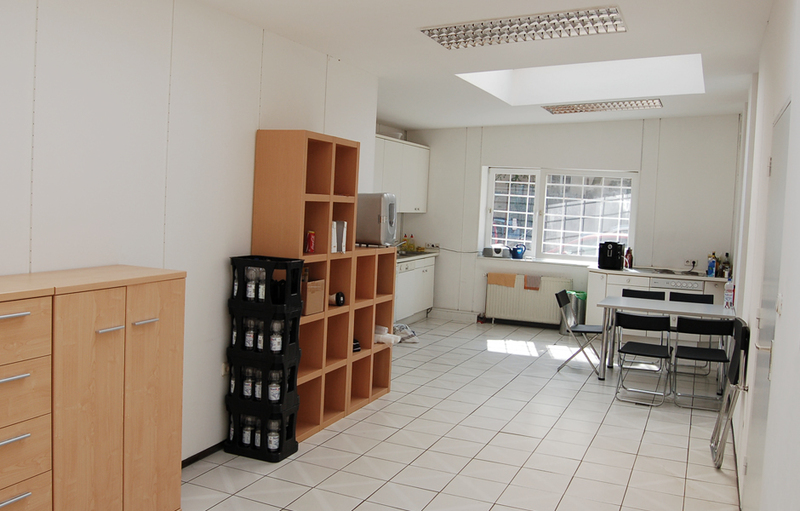 The wall weighs nearly 80 kg, is almost 3 m wide and 2,80 m high. 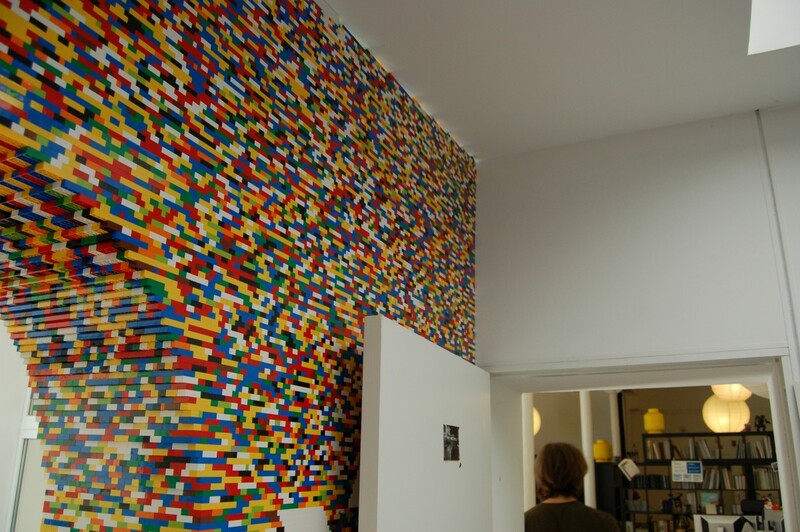 Apart from the practical utility of the wall, it never ceases to make us happy on our way to the toilet – which means the hard work definitely paid off.